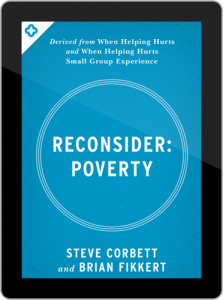 Now you can sign up to receive a free book, “Reconsider Poverty,” at this website…. This ebook is derived from When Helping Hurts. It definitely looks worth the read! Christians around the world are coming together on this issue as part of the EXPOSED Campaign to shine a light on the scourge of corruption. The campaign wants raise a united voice to the world’s most powerful leaders, the G20 when they meet in Brisbane in November this year, and call on them to protect the poorest in our world. Governments are already considering anti-corruption measures, and we can encourage them further. Organizers are asking you to join your light and stand with thousands of others around the world by signing a petition and praying. LOOKING FOR WEB-BASED BIBLE STUDY TOOLS? 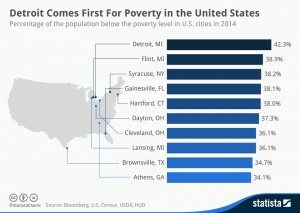 WANT TO MINISTER TO THE POOR WITHOUT CREATING DEPENDENCY? — Learn how through the “Foundations and Principles of Holistic Ministry” distance course from the Chalmers Center for Economic and Community Development at Covenant College. The January 8 – February 2, 2007 offering of the course is now full and the Chalmers Center is taking registration for the May 7 – June 1, 2007 course offering. The “Foundations” course is designed for anyone doing ministry and community outreach among the poor – pastors, church planters, ministry leaders and lay staff, and missionaries. It is appropriate for an individual as well as for a team who ministers together. The course lays the foundation for understanding appropriate goals and strategies for Christian economic development in low-income communities. Topics covered are: An understanding of poverty and its causes, a relational framework for addressing poverty, principles for doing relief work appropriately, needs-based and asset-based approaches to holistic community development, implications for short-term teams, impact of world view on poverty and development, and integration of biblical messages into development programs. This course is a guided-reading program with weekly written assignments and peer-to-peer interaction with other course participants. Because it is e-mail based, slow dial-up speed will not limit participation. Prior financial or economic experience is not required to participate. Group discounts and a Two-Thirds World discount are available. NEW BOOK TELLS TESTIMONY OF BUSINESSMAN TURNING TO MISSIONS — As you read Roger Babik’s ‘A Call Against the Will,’ you’ll be entertained, inspired and challenged. How can so many funny things happen to one family? (How can one family cause so many funny things to happen?) Get ready for a roller coaster ride of faith in action, joy in service, and miles of miracles. This is Henry Blackaby’s “Experiencing God” brought to *life*! Learn how a career businessman does the trading-spaces thing by casting aside his secure management job of 17 years to launch a highly-successful Christian non-profit organization. It’s worth the read just to witness this family’s battle with (and victory over) a life-threatening illness. You’ll want to hurry up and finish it so you can loan it to your best friend. An agent affiliate program with good income potential is also available at no cost to sign up. Want to join the foundation builders? Just click on “sponsor” in the top menu (to use PayPal or a credit card), or if you prefer, send a check payable to Team Expansion to: Team Expansion (Brigada secretary), 13711 Willow Reed Dr., Louisville, KY 40299. As always, be sure to let us know if you’d like us to promote any particular service or ministry, or if you’d prefer your gift be anonymous. In any case, thanks for considering Brigada in your estate giving, your monthly church missions fund, and/or your own personal giving for this calendar year. THE BACKPAGE: ALL FOR A STYROFOAM PEANUT — This past week, I sold my previous telescope on eBay, bought a more powerful telescope (also on eBay — great deal, by the way), and was almost all ready to go observing when I noticed, inside the enclosed portion of the Schmidt- Cassegrain optics, a single styrofoam peanut. When the eBay vendor sent me the scope, he packed it up with tons of styrofoam peanuts — and one of them had made it into the inside optics because he left the cap off the back of the scope. I posted a message on an astronomy forum, asking what to do. I even posted a picture of the optics and the styrofoam peanut. After a brief explanation of the details, the answer came back, “Take the front lense/corrector off.” Yikes, that sounded difficult. But even so, tonight I did it. It was like having to do surgery without the undergrad, let alone the residency. So the thought occurred: how is it that the tiniest thing can cause such a great stir? James 2. A giant ship turns on a rudder. Control a large horse with a tiny bit. Tiny bacteria can cause Amoebic Dysentery The smallest cancer cell can spell torture for patients. And the smallest mispronunciation can change a Bible term to a word that we wouldn’t have ever wanted to say at all! One thing’s for sure: to be really good at something, we have to learn to do the small things *well*. Eat right, study the Word, Pray to God, exercise incrementally, etc., etc., etc. And if we do all things right, it won’t be just styrofoam peanuts. It’ll be the difference between success — and failure. By the way, I got the scope apart, removed the peanut, and got it back together! It’s like surgery is done! Now the folks on the forum are cheering me on for finishing it. Where’s your own ministry? What styrofoam peanut can you remove? What piece can you improve on and get a substantial increase in your own productivity? *That* is the question that haunts us all. That’s the question for you tonight.